Ding ding, that’s the end of round 2! 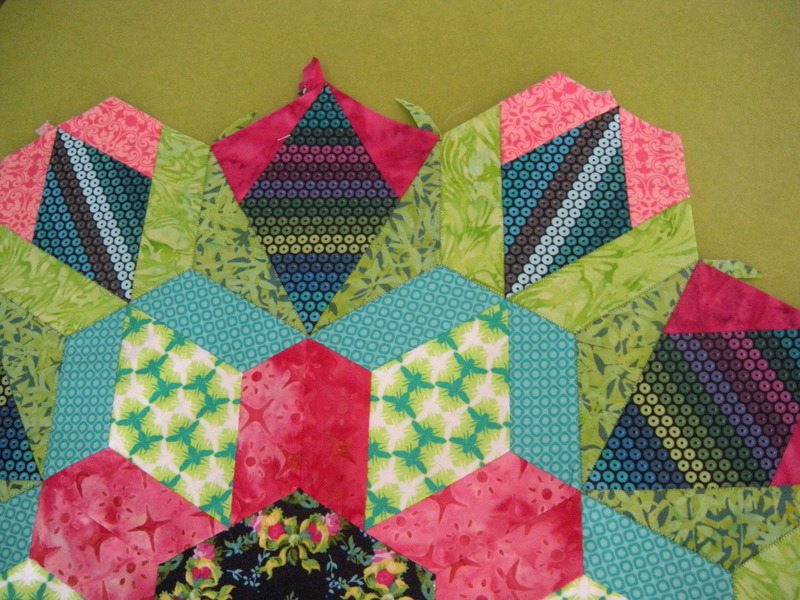 I’m working on the Millefiore Quilt-Along, using the book the New Hexagon by Katja Marek. I am trying desperately to make sure it doesn’t overtake my entire life. Must. Resist. Feeling. Weak. What can I do to prevent that, you ask? Only one solution. 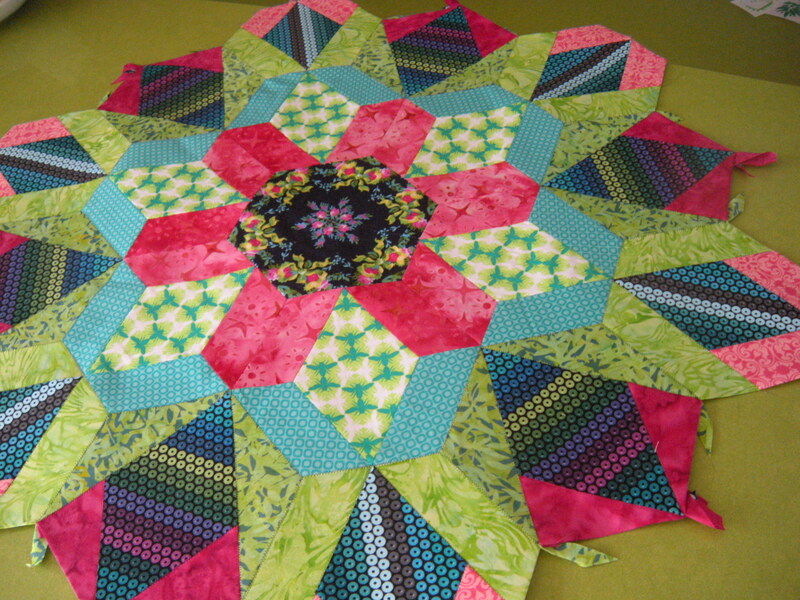 Finish the last round of this rosette before the other one is released! Which is the first of next month. No pressure there. It’s only 18 hexagons. Only 126 separate pieces. Which have to be cut, basted, stitched together, attached to the second round. By the way, I just can’t help myself. I have to show off this gem on my kitchen counter, which surprisingly coordinates very well with this project so far. I’m in love with the fabric in the center diamonds of this round. 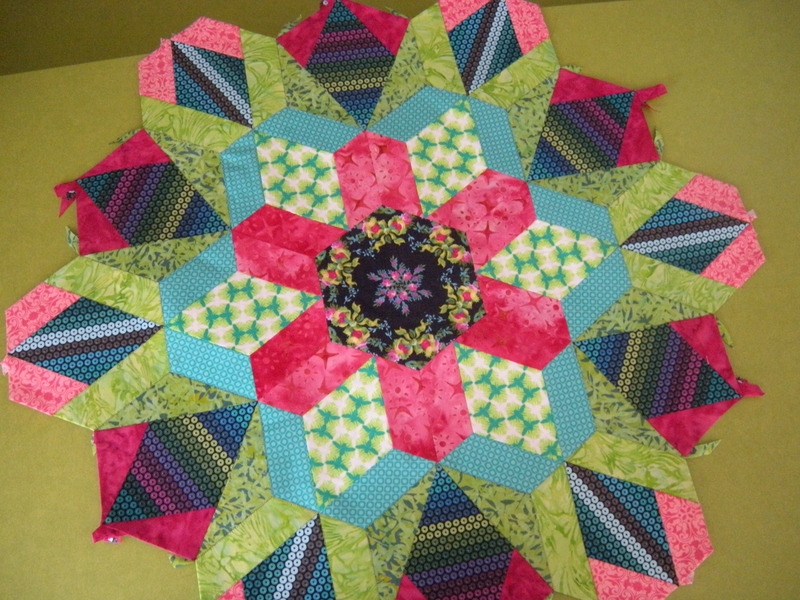 It looks like stripes of sequins, coincidentally in the colors I’m using in this rosette. I chose to cut half horizontally and half vertically, using different colors of the stripes. It really looks like two different fabrics, doesn’t it? 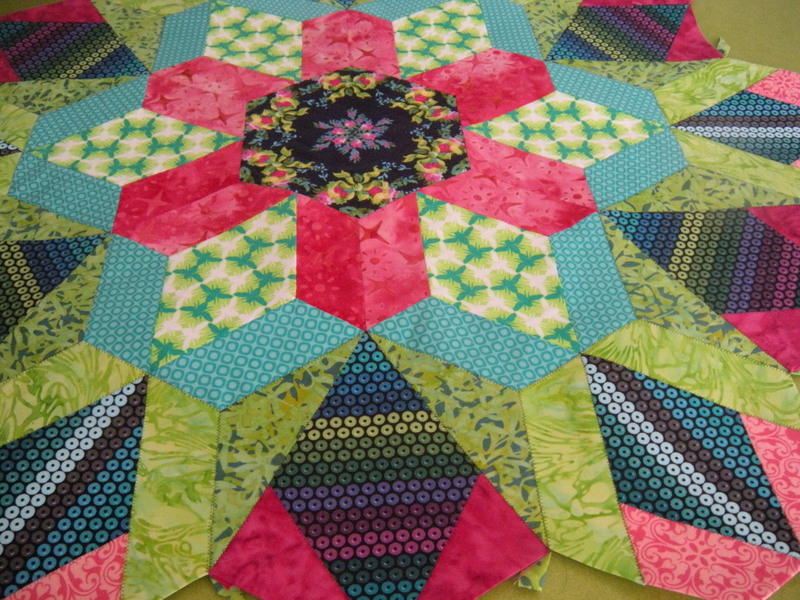 As I plot my last round on this rosette, I think I want to incorporate that floral from the center. Hmmmmm…I’m having fun working without a flight plan. Now go out there and feed your crafty obsession. Daylight’s burning. Previous This is why I didn’t get anything crafty done this weekend. Next Look! Up in the sky! It’s a skirt! It really does go well with the kitchen counter LOL and there’s little point fighting against the obsession ~ there’s afew of us afflicted so youre not alone!